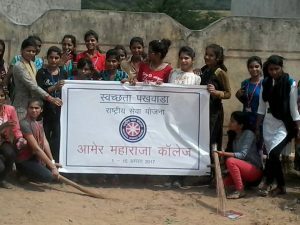 Amer Maharaja College students participated in Swach Bharat campaign under NSS camp. The campaign started on 1st of August 2017. Several areas nearby Amer were cleaned by student volunteers.